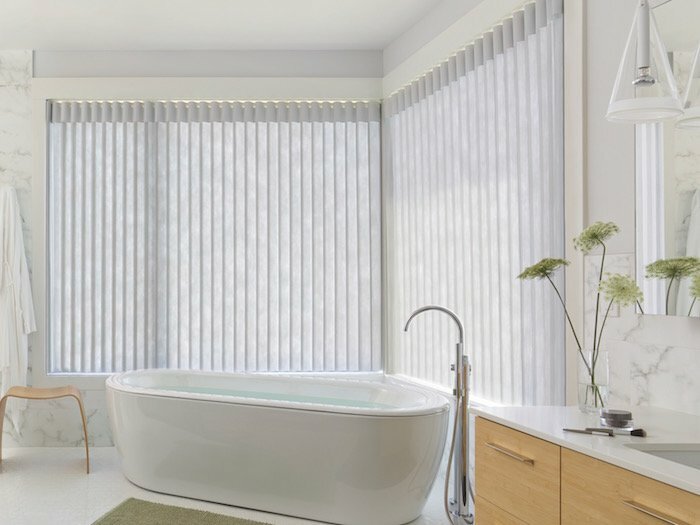 If moisture is less of a concern, you may want to consider soft window treatments, such as Luminette® Privacy Sheers and Silhouette® window shadings. 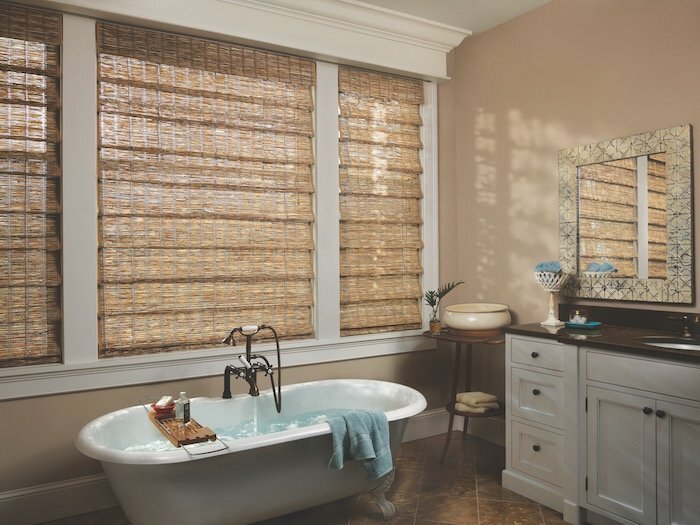 For a more rustic look, choose Provenance® Woven Wood Shades. 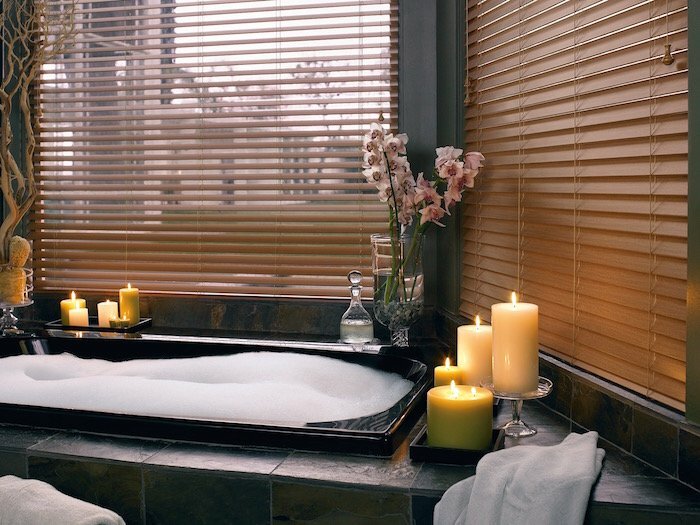 Shades that open from the top down are a great choice, because they let in unfiltered light yet still provide privacy.